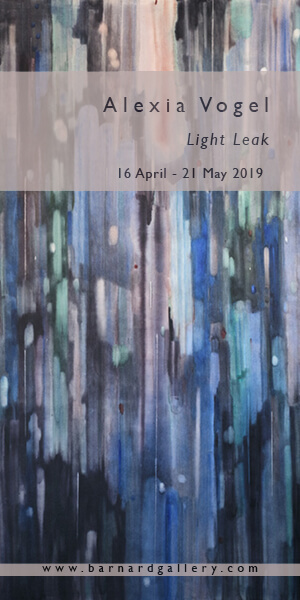 We are often reminded that African contemporary art and its “global art mainstream visibility” is very much a contemporary phenomenon, so it is not surprising that we are still arriving at some ‘firsts’. 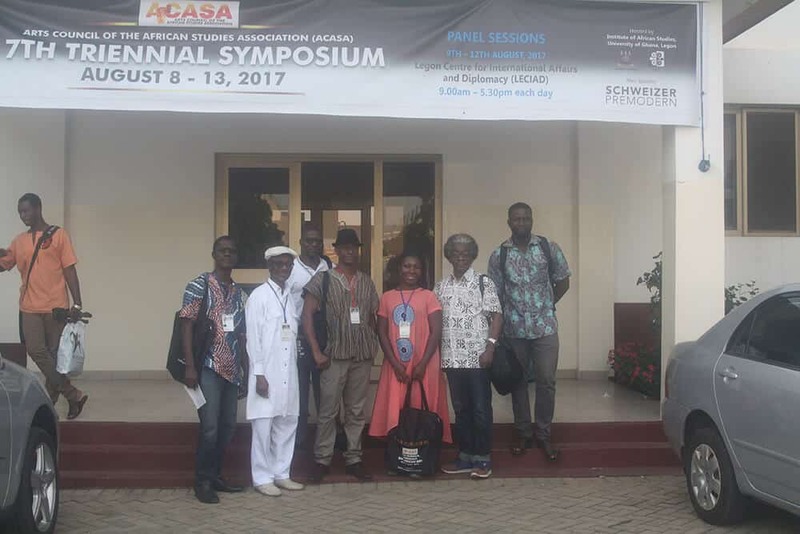 This past August, there was a first for Arts Council for African Studies Association (ACASA), the worlds largest association of African scholars and art professionals. 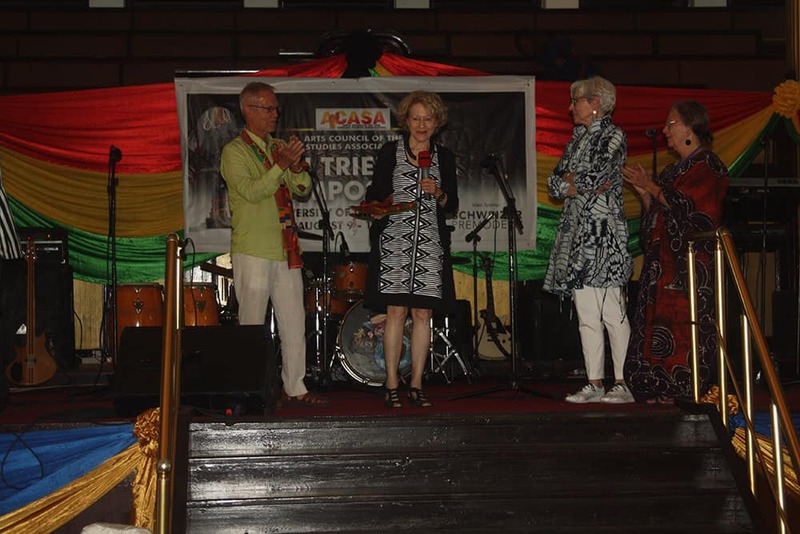 For the first time since its first gathering in 1968 and its official founding in 1980, ACASA held its Triennial Conference in Africa – in Accra, Ghana. 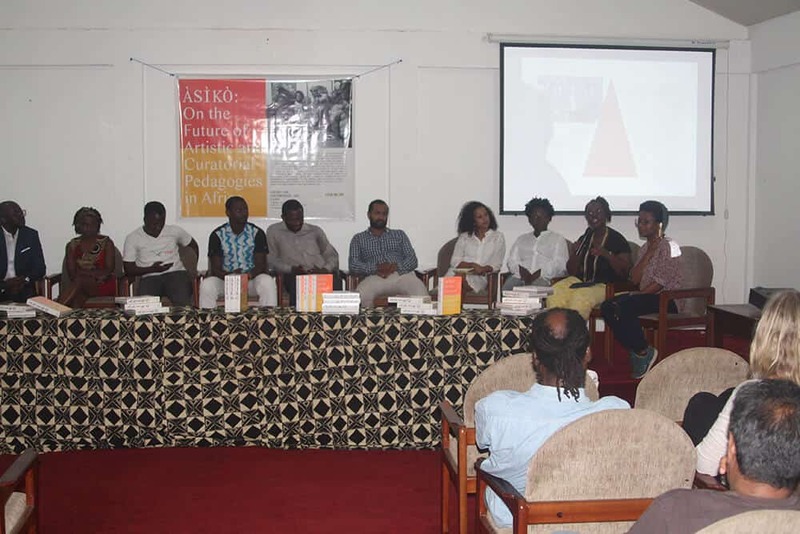 In addition to being an ironically pioneering venture for the association – ironic because all of its members have made their career by doing research in and about Africa, the Triennale was also an opportunity reflect on the breadth of scholarship in the field and its foundations of and traditional approaches from Afro-centric perspectives. 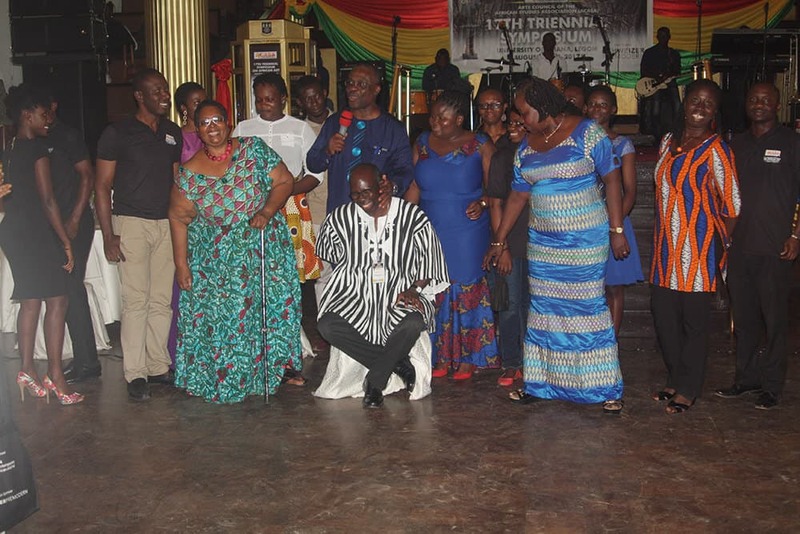 Ghana made sense as a natural starting point for this kind of engagement, as the first country in Africa to achieve independence and one, which has broad links across the Atlantic to the USA the home base of ACASA and most of its membership. In fact the Institute of African Studies Centre, which hosted the conference, was launched by Kwame Nkrumah himself, who was said to have been greatly influenced by WEB DuBois, who spent his final years living in Ghana. 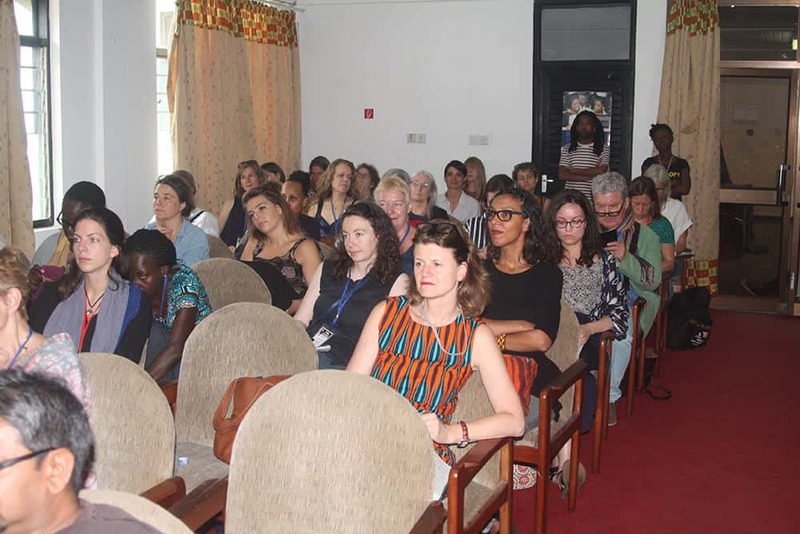 The 2017 Triennial, took place at the Institute for African Studies, launched by Kwame Nkrumah himself in 1960 at the University of Accra. 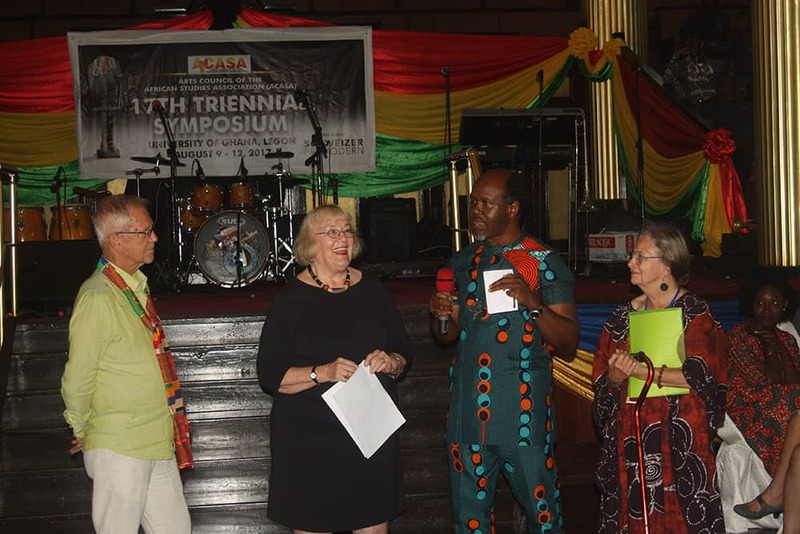 ACASA Triennale participants was a veritable who is who of scholarship on African art including Sidney Kasfir, Susan Vogel, Ray Siverman, Jean Borgatti; heads and senior curators of major museums collections such as Karen E. Milburne of the Smithsonian, Sylvester Ogbechie of UC Santa Barbara, Chika Okeke Agulu, Ugochukwu-Smooth Nzewi, as well as some leading Africa based scholars and practitioners including Atta Kwami, Samuel Sidibe (Musée Naonal du Mali)Bongani Ndhlovu (Iziko Museums of South Africa) and Ciraj Rassool (University of the Western Cape). Thanks to an impressive fund-raising drive, ACASA enabled the participation of record numbers of scholars from the continent, ensuring that out of more than 400 participants, almost a half were Africa based. The conference was also supported by a rich programme of events such as artist studio and gallery visits (Nabuke Foundation/Dorothy ), Ablade Glover’s Artist Alliance, Serge Ottokwey Clottey, Yaw Awusu, as well as evening events, which included art and exhibition openings such as BlackXlines annual exhibition “Orderly Disorderly” at the Science Museum featuring works from more than 100 emerging and established Ghanaian artists and a lavish vernissage for Carnival at 1957 Gallery at the Kempinski Hotel. There was no doubt that organizationally and in terms of enjoyment value the Triennale was a success. 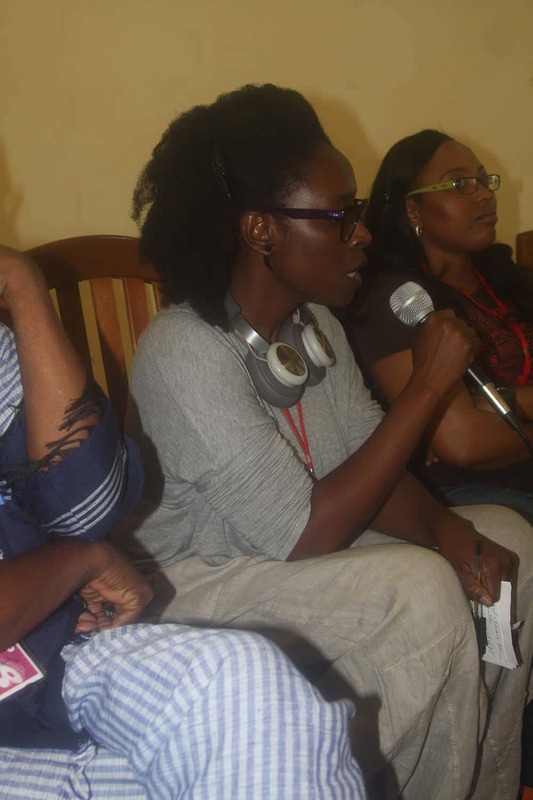 “While it’s soon to gauge the impact that African participation in the Accra ACASA Triennial has had on ‘normal discourse’ writ large, it had a deep, I think, profound impact on me. A combination of factors, like the opposite of a perfect storm, made the week especial: the location of the triennial on the leafy, historical Legon campus of the University of Ghana, outstanding plenary sessions (with presentations by two continental colleagues with whom I have worked: Lagat Kiprop and Atta Kwami), extensive programme (five panels simultaneously, highest number of papers for a Triennial), highly efficient local organisation, hospitality at top-notch exhibitions in Accra and plenty of opportunities for informal discussions with fellow scholars and artists. This ACASA experience was profound because it affirmed more than past Triennials, what I take as ‘African art’ with collegiality being the essential element. “I hope that by being to exposed to what is happening on the continent there will be a gradual change within the body. 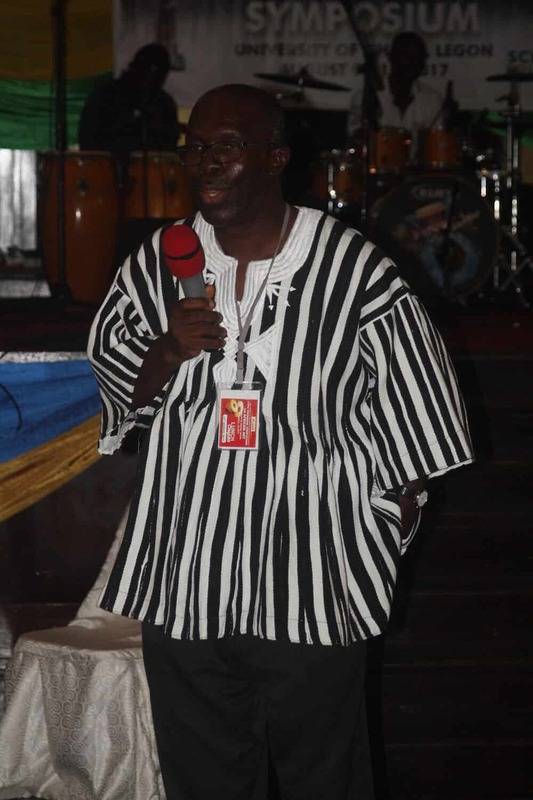 Hosting the conference in Ghana is a start. This is the first time it has happened. They may be very removed from our reality, but they also commission a lot of research and resources, which we need in our work. 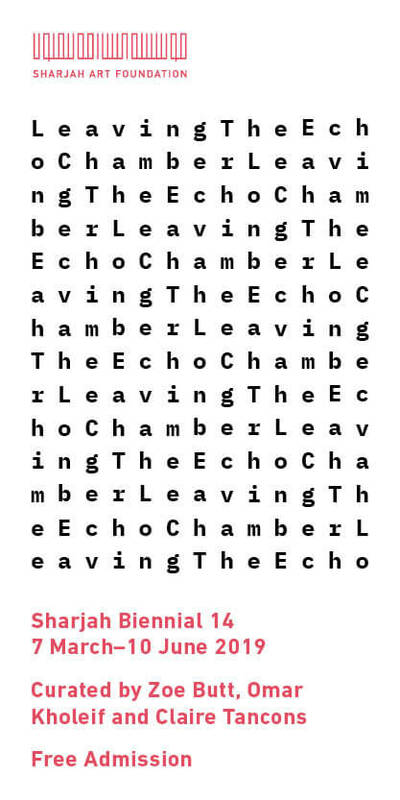 So we have to seek new collaborations. I hope that by being too exposed to what is happening on the continent, there will be a gradual change within the body. 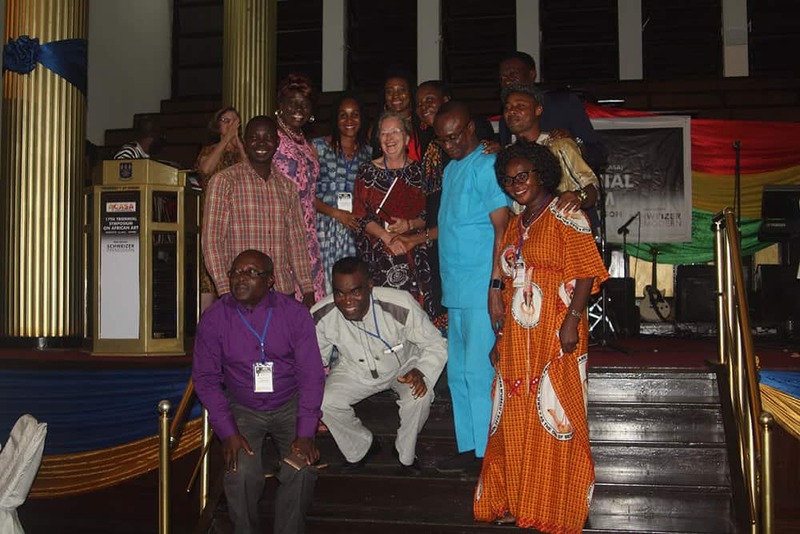 The resourcing and financial clout of both ACASA and participants from major US institutions – museums and universities and financial clout was indeed quite manifest, especially to younger scholars working on the continent with shoestring resources and frequently in relative isolation in their own countries. Also striking to many scholars working in contemporary art sector is the old fashioned cross-disciplinary approach, in which anthropology and art history are fraternal twins rather than occasionally antagonistic cousins they are at present and where many of the older generation ACASA members got their start by doing ‘field work’ in African villages in regions they first encountered in the US Peace Corp in the 1960s. While this was stating the obvious of the contemporary status quo, this was not necessarily a satisfactory one for younger scholars. “still continues to broach a very antropological/ethnographic approach to art in Africa. Many of the members and discussions were still heavily rooted in ethnography, even if it is of contemporary phenomena. There is an urgent need for the discourses to change, in the sense that as a contemporary artist/curator/writer, I feel our work still receives misinterpretation based on the obviously anthropological bent of scholarship within ACASA circles. This stance tends to largely influence academia on the continent to approach art emanating from the continent and its Diaspora as ethnic curiosities. Most of the awards that were given highlighted the anthropological, save for the Curatorial one, which looked at contemporary art curating (specifically the photography biennial), and rightly won by Atawan Byrd and the Bamako Biennial team. Vu Michelle Horwitz, a young art historian based at Wits University in Johannesburg, also noted that “the very fact that the platform exists, and was as open to scholars based on the continent as it was, was a good sign for going forward” however the scope of discussions privileged ‘funding and other interests that dominate the field…There is much in need of critical overdoing”. … our area of research remains in the shadow of a history of epistemological imbalance and violence. “The location of the 2017 ACASA was extremely significant, as it registers a broader shift in the centre of gravity in terms of knowledge-creation in the visual arts, particularly the arts of Africa and the global south. 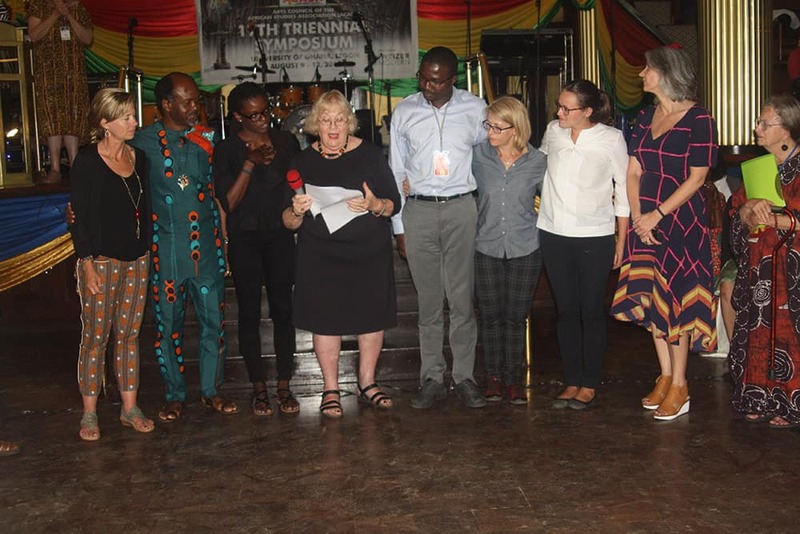 The significantly higher number of Africa-based scholars at the Triennial played an important role in strengthening discussions in our discipline. I attended as many panels as possible that were led by or included a number of Africa-based scholars, and I was very excited about the conversations that took place. 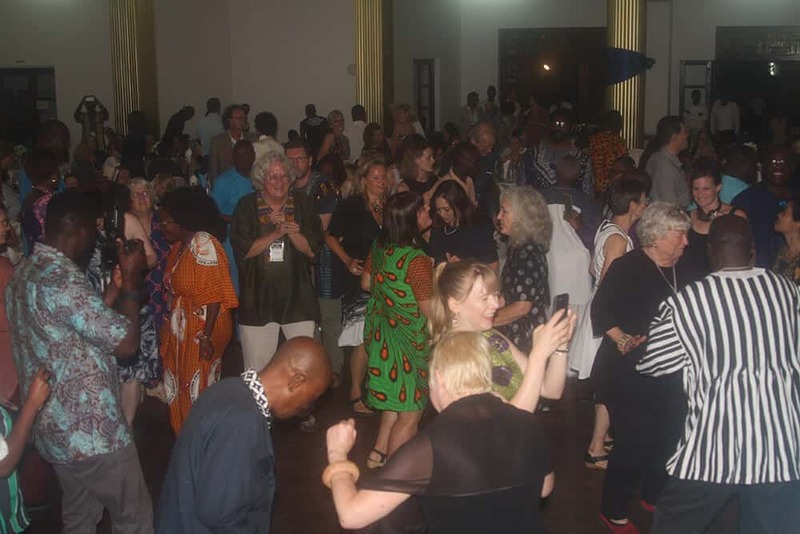 These scholarly conversations were pivotal to the Triennial, whereas in past ACASA conferences the few panels that were led by Africa-based scholars tended to remain somewhat peripheral to the broader discussions. This shift is critical, and concerted effort needs to be made to retain it. Perhaps unintentionally the most important conversation, which 17th Triennale has helped to consolidate is a conversation among African scholars about the need to take responsibility for development and the future of African art scholarship as an issue which unequivocally, must be resolved by African scholars and with Africans in mind, of course in collaboration with international scholars, partners and friends. Valerie Kabov is an art historian with a focus on cultural policy and economics. She is the co-founder and Director of education and International Projects at First Floor Gallery Harare.